Oct 7, 2015, 5:21pm CDT Updated Oct 7, 2015, 4:29pm CDT by Olivia Pulsinelli Senior web editor Houston Business Journal. What oil slump? There was news of job cuts and bankruptcy filings last week, but the top headlines focused on major energy deals and highly anticipated commercial real estate projects — just like old times. Heck, even the housing market apparently hasn’t received the oil slump memo. Let’s take a look at Houston Business Journal’s most-read stories from Sept. 28 to Oct. 4. A view of the Kirby Collection from Kirby Drive. The announcement of the Kirby Collection’s groundbreaking date was one of HBJ’s most-read stories last week. Houston’s housing costs just keep rising. The most-read story last week was Paul Takahashi’s “Rice study: Houston crosses threshold of housing unaffordability.” The Rice University report found that Houstonians spend more than the national average on housing and transportation costs. Other findings — such as the neighborhoods with the least-affordable housing and Houston’s growing traffic problems — probably weren’t a surprise to many. Next up were three stories about major energy deals, all in different phases. Dallas-based Energy Transfer Equity LP (NYSE: ETE) won out the deal to take over The Williams Companies Inc. (NYSE: WMB) after months of negotiation. A few Houston-based companies had reportedly shown interest in acquiring Oklahoma-based Williams, and the newly announced deal will be of significant interest to many Houston companies. The $37.7 billion deal is expected to create the world’s largest operator of infrastructure for the movement and processing of oil and natural gas. Additionally, Houston-based oilfield services giants Halliburton Co. (NYSE: HAL) and Baker Hughes Inc. (NYSE: BHI) announced more divestments they’ll make to close their megadeal. The companies also pushed back the latest closing date for Halliburton’s $34.6 billion acquisition of Baker Hughes. Finally, Suzanne Edwards took a look at how Accenture PLC (NYSE: ACN) will use its acquisition of the consulting arm of Schlumberger Ltd. (NYSE: SLB) to compete with the big three consultancies in Houston. That story surged over the weekend to take the No. 2 spot for the week. 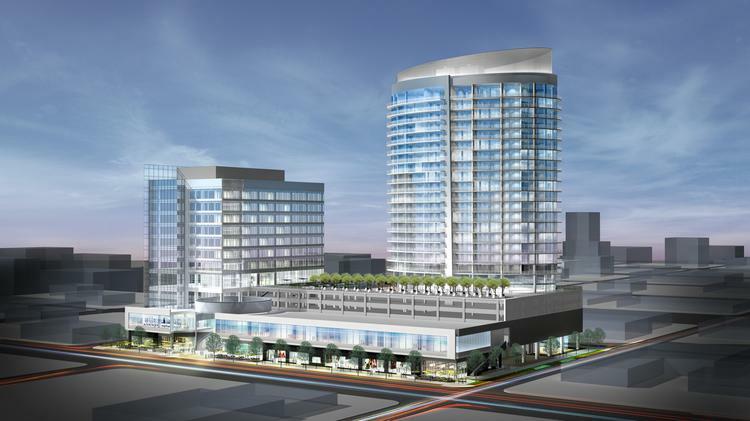 A massive, long-awaited mixed-use project on Kirby Drive will break ground Oct. 5— that announcement was the No. 5 story of the week. Roxanna Asgarian’s exclusive tour of the Marriott Marquis under construction in the convention center district was the sixth-most-read story, and the first luxury apartment complex planned for Fulshear was No. 7. The week even ended with some big commercial real estate news. Just before 3 p.m. on Oct. 2, news broke that a posh hotel first announced in January 2014 would break ground this month. That story managed to crack the top 20 stories this week, landing at No. 19.